Delmond Rondeau was born in Dufur, Oregon, in 1906 to Remo and Mable Rondeau. He graduated from Dufur High School and was a member of The Dalles police force prior to being hired by the Oregon State Police in 1943. He had also been a member of the Oregon National Guard. He was married to Nerine Rothery and had a six year-old son and a four year-old son. Trooper Rondeau had been with the Oregon State Police about 4 years. He was stationed at Arlington and later assigned to the Hood River Office. He was killed by a gunman on Friday night April 25, 1947. At 10 p.m. Trooper Rondeau observed suspicious person across the street from the Hood River Police Station. He approached the suspect, John Omar Pinson, and questioned him about some guns that Pinson was carrying. According to Pinson's confession, he, Pinson stated that he had bought the guns. Not satisfied with the answers that he had received from Pinson, Trooper Rondeau instructed Pinson to pick up the guns and to follow him. When the two moved to the front of the truck that Pinson had driven into town he pulled a revolver from his pocket and shot Trooper Rondeau in the chest. 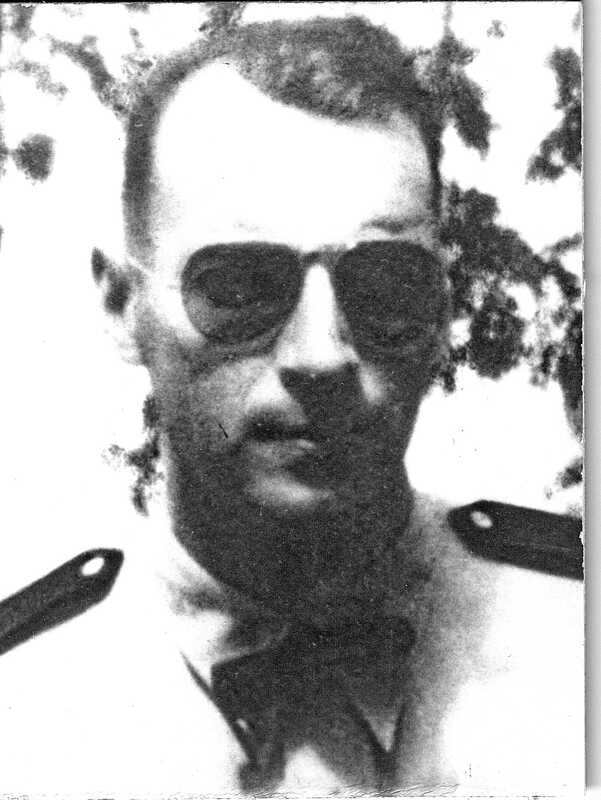 Trooper Rondeau then staggered across the street to the police station where he died. The suspect was located when he crashed a roadblock at The Dalles and then wrecked his stolen car in an 80 mph chase. He escaped on foot and was captured the following day hiding in a boxcar in Ordinance, Oregon. John Pinson was convicted and sentenced to life in prison for the murder of Trooper Rondeau. He was paroled in 1959. Trooper Rondeau was buried in the small Kingsley Catholic Cemetery near Dufur. In January 1949, almost two years after Trooper Rondeau's death, Oregon House Bill #71 was entered which would authorize payment of $2,400 to the widow and children for the loss of their husband and father. Part of the bill reads "Whereas as a result of the death of said Delmond E. Rondeau, his widow, Nerine Rondeau, and two infant children have been left practically without resources or visible means of support other than that resulting from the physical labor of such widow, and…".